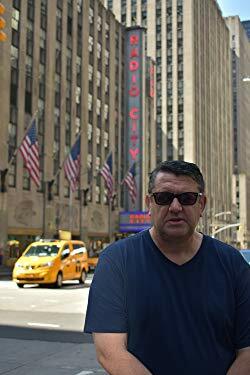 When I set out to write thrillers, I wanted to create a suspenseful narrative, with excitement, tension and anticipation in the best traditions of the genre. But like most authors, there is also a theme running through my books. A theme is a thread which is woven through the story. Love. Death. Solitude. Revenge. Redemption. Maybe all of the above. The phrase which best describes the theme of my new American Ghost series of books in 2018 is the “deep state”. So what exactly is the “deep state’? According to Mike Lofgren, a former Republican U.S. congressional aide, he described the deep state as "a hybrid association of elements of government and parts of top-level finance and industry that is effectively able to govern the United States without reference to the consent of the governed as expressed through the formal political process." 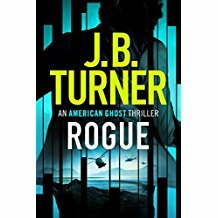 In my book, ROGUE, the first in the American Ghost series, the shadowy deep state organisation is called The Commission. It is made up of former CIA Directors, a former Chairman of the Joint Chiefs of Staff and other senior military officials who have drawn up a kill list of people they believe are a danger to American interests, including a popular libertarian leaning US Senator. My protagonist, Nathan Stone, is tasked with killing the senator during a high-level security conference in Scotland. And the Commission are backed, financially by a mysterious billionaire who they report to. But does the deep state even exist? Some believe it is simply a convenient bogeyman catch all phrase to describe an axis of unelected bureaucrats, military types and banks. But if the deep state does exist, why should we care about it? In The Concealment of the State, Professor Jason Royce Lindsey argues that even without a conspiratorial agenda, the term deep state is useful for understanding aspects of the national security establishment in developed countries, with emphasis on the United States. Lindsey writes that the deep state draws its power from the national security and intelligence communities, a realm where secrecy is all encompassing. It was the brilliant English author George Orwell who warned of the all-encompassing intrusive secret powers of the state in his masterpiece dystopian vision of the future, 1984. It portrays a nightmarish future where the people are subjected to omnipresent government surveillance and public manipulation, amongst other things. These concerns are real, not imagined. The espionage writer, John Le Carre, in his 2013 A Delicate Truth, portrayed the “deep state” as a wealthy elite; the “non-governmental insiders from banking, industry, and commerce”. And it is within these shadowy elites, privy to information, which enables this cabal to rule in secret. Ultimately, the deep state is perceived by some to be all about a shadow government pulling the strings, out of sight. Whether the deep state actually exists in reality, or only in the fevered imagination of a thriller writer, it is probably true that there are forces at work of which we know not what they do.